I am amazed at the skill and artistic ability she has to create one of a kind original knitted pieces. You can see pictures of previous works of art on her Facebook page. She was so kind and generous to create a baby hat for my baby so that I could review her work and tell all of you about it. The design phase was basic; we decided on a Lady Bug design and before I knew it she had completed the design! Super-fast. The hat arrived quickly and was packaged very well. Once I opened the package, I was in love! The Lady Bug hat was even more cute in person than in pictures that Melakee had sent me via email. My little girl looks so cute in her new Lady Bug hat and I would not be more happy. I would highly recommend checking out The Naked Sheep and getting your orders in before the Christmas rush! I am 30 years old mom of two and married to Daniel, a firefighter. I started knitting/crocheting in the 3rd grade and have always had a passion for anything that involves fiber. I grew in Israel, in a village filled with goat and sheep herders, which fueled my passion for these animals and how they contribute so much to society and have done for centuries. I have worked on sheep farms for several years in the past, love to spin wool, and have the dream of owning my own little farm in the near future. I began making hats just this year at the request of a friend, and after my Sundae became a hit, I decided to take designing more seriously and to come up exclusively with all original that are unique to my brand. I also am working on publishing some of my patterns. I have always wanted to have a business that involved knitting or crocheting in some way, so this is sort of a mini dream of mine. I want to specialize in 0-12 month hats, and mainly newborn at that. I am working on a Masters and internship in Professional Counseling, and so this is something that allows me to stay home with my kids and bring something in to help financially. I love this more than I can even tell you, I get such joy from coming up with the designs and seeing them come alive. My items are in 2 stores currently in the nation, and can be purchased on Etsy and also simply by emailing me at my Facebook page. I take mostly custom orders, but plan to complete 20 series of my designs to sell on a steadier basis. Hey Buddy!, I found this information for you: "Naked Sheep Designs Baby Lady Bug Knitted Hat Review". 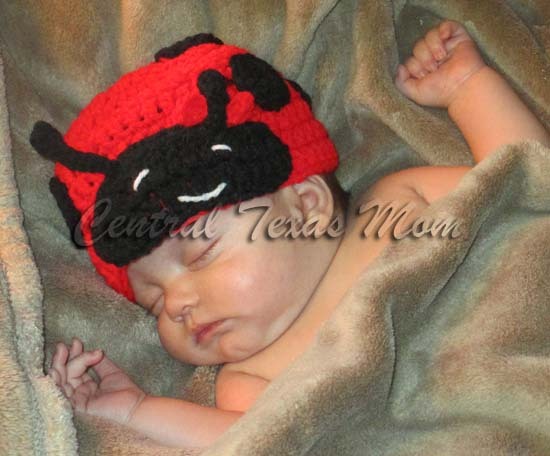 Here is the website link: http://centraltexasmom.com/naked-sheep-designs-baby-lady-bug-knitted-hat-review/. Thank you.